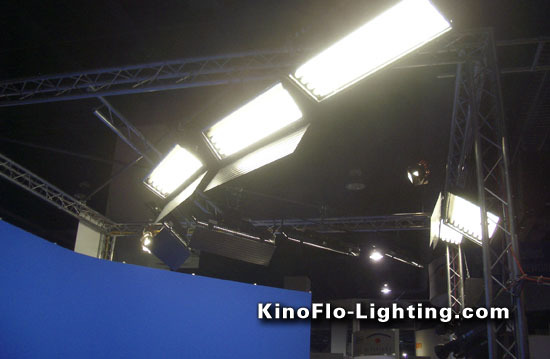 Kino Flo Image 45 Fixtures, with one Image 85 Fixture. 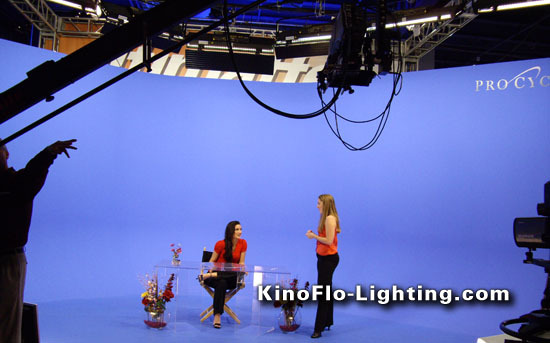 Kino Flo Image 45 Fixtures lighting the blue screen. 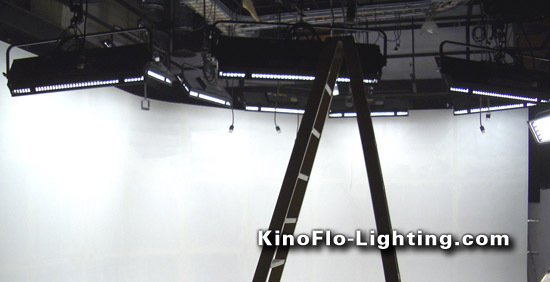 16 Kino Flo Image 45 Fixtures for this large green screen that has not yet been painted. 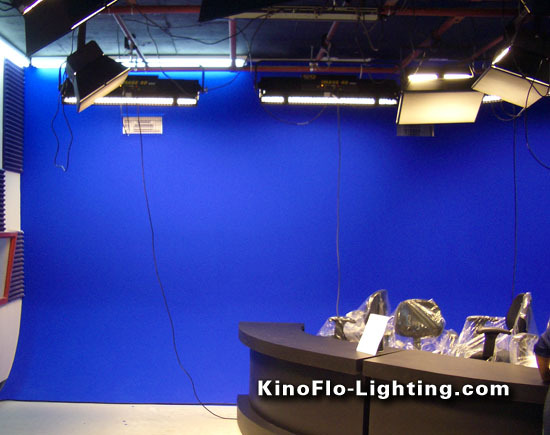 Kino Flo Image 45 Fixtures for this small blue screen.